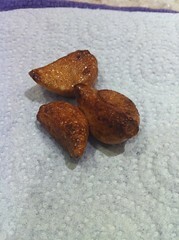 Killer Rice Step 1: fry 3 cloves garlic in 3 Tablespoons olive oil. Killer Rice Step 2: remove golden garlic from the oil (now you have infused the oil) and let the garlic cool before eating it. LET THE OIL COOL AT THIS POINT! 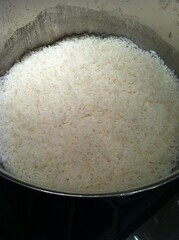 Killer Rice Step 3: OIL IS STILL COOLING AT THIS POINT. 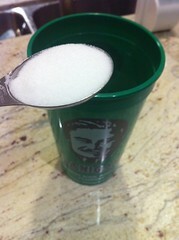 Add 1 Tablespoon of salt to a cup of water, filled to Joe Flanigan's head (3 cups). 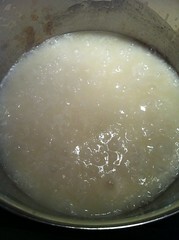 Killer Rice Step 4: once the oil has cooled, add the salted water to the pot and bring to a boil. 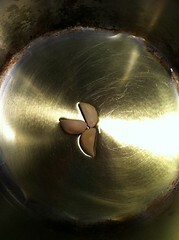 Killer Rice Step 5: add 2.5 cups white jasmine rice to the boiling water. 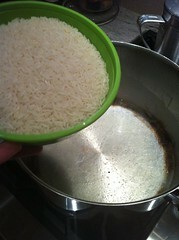 Killer Rice Step 6: once the rice comes up to a boil, cover and lower heat to simmer for 30 minutes. DO NOT PEEK. Killer Rice Step 7: EAT! Buen provecho.